Just wanted to quickly stop in and share a classroom management strategy that has been working well in my class this year! This year my kids have to get ready in the hall. My ECE and I both decided right from the start that we were going to aim for a calm, quiet space when we are getting ready. So we implemented "The Quiet Police". This is how it works. The special helper of the day is the quiet police. Once he/she is ready and at least half the class is ready (they sit against the wall when they are done) I call the quiet police to walk up and down the hall. They are looking for the 3 quietest friends. When only one or two friends are left for getting ready I ask the quiet police to stop and announce the 3 quiet friends. Those 3 get a sticker! Sounds simple enough but it has really been working well! I have vetoed some decisions when they were just picking their friends and the chosen students were being noisy or were the last few to get ready. 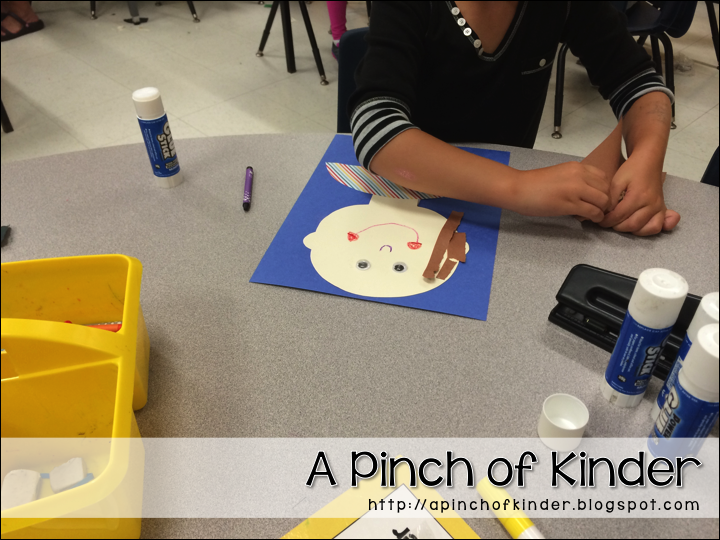 We talk about why and what makes a good choice/poor choice for a quiet friend. They catch on quick! 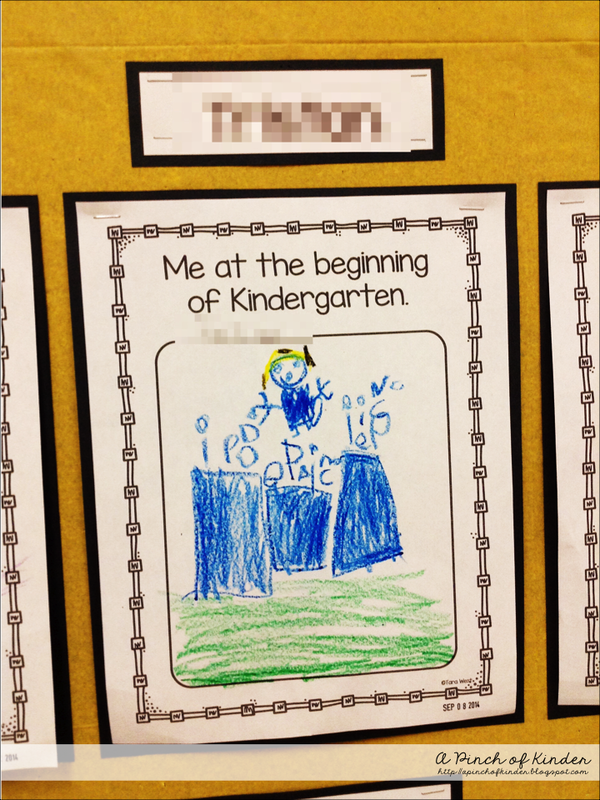 This was our first full week of Kindergarten and our focus was names! 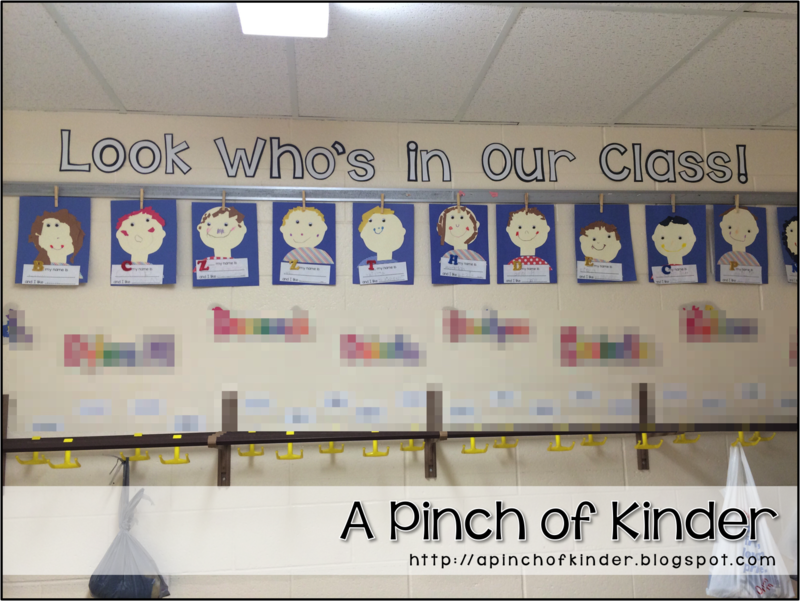 I want all of the students to know each other (and their own!) names well so I decided to start the year by focusing on names. We started our "special helper" routine. Each day I announce the special helper and this person is the line leader, calendar helper, the first to pick a centre etc. He/she is also the quiet police when we get ready for home. Since we have to be in the hall to get ready the special helper walks up and down the hall (I get the students to sit on the wall when they are ready) and when we are all ready announces 3 quiet friends. These 3 people get a sticker. It has been working like a charm so far! We also started our name of the day routines. 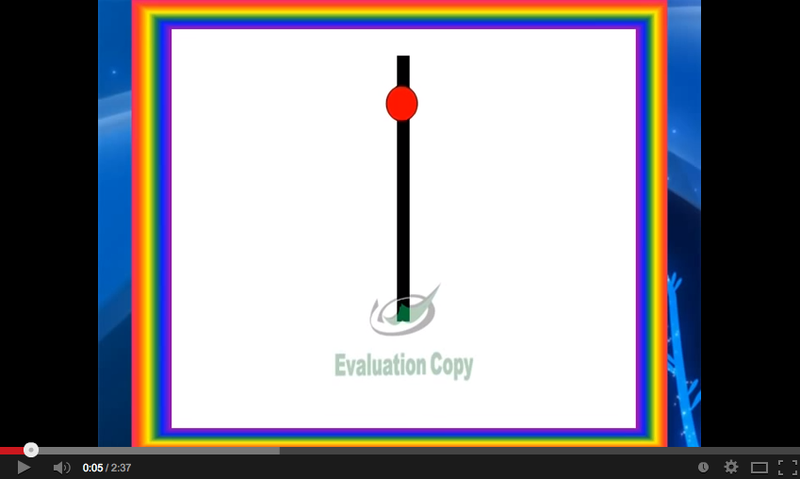 I learned about this on Elizabeth's blog Kickin' It In Kindergarten. Click here to see her post on it. I modified the chart and laminated it so that I could reuse it everyday. Although if I was to do this again next year I would remake the chart so that everything was singular. That way I could add the s only where necessary! 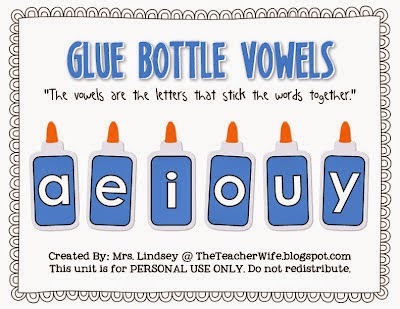 and I also put these vowel glue bottles from The Teacher Wife on the whiteboard. After we count the letters, vowels and consonants we clap how many syllables are in the name. Then I call the special helper up and they sit in a chair by the chart stand. I ask them the three questions (What is your favourite colour? What is your favourite food? How many sisters/brothers do you have?) and we fill in the chart together. 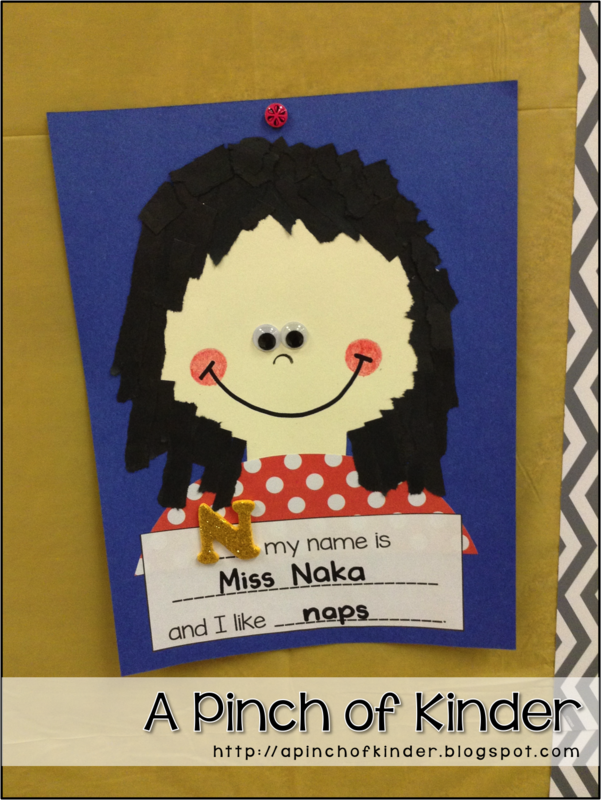 During small group time the SK's worked on this "A my name is Alice" craft from "Names Math & Literacy Fun" by Deanna Jump. 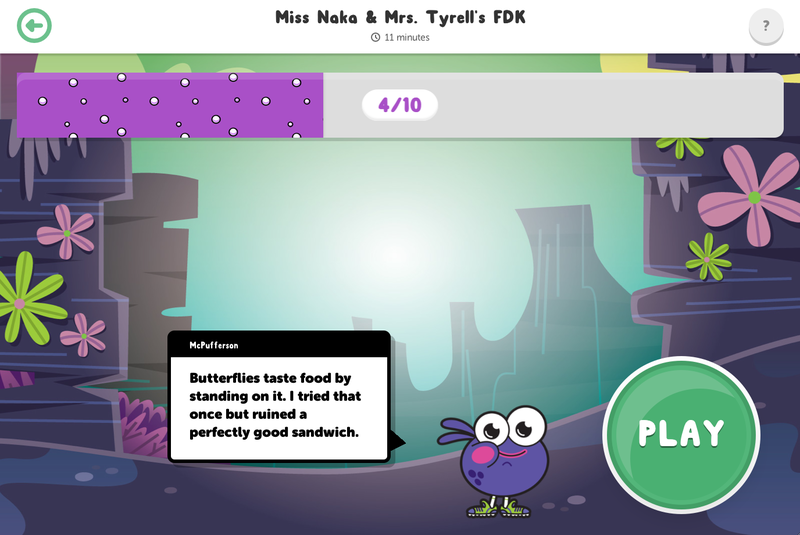 Here is my example that the kids looked at as they made theirs. And the JK's worked on their Rainbow Name Mosaiacs (also from the same unit). I put the finished products up above our bag hooks! We introduced a few new centres. 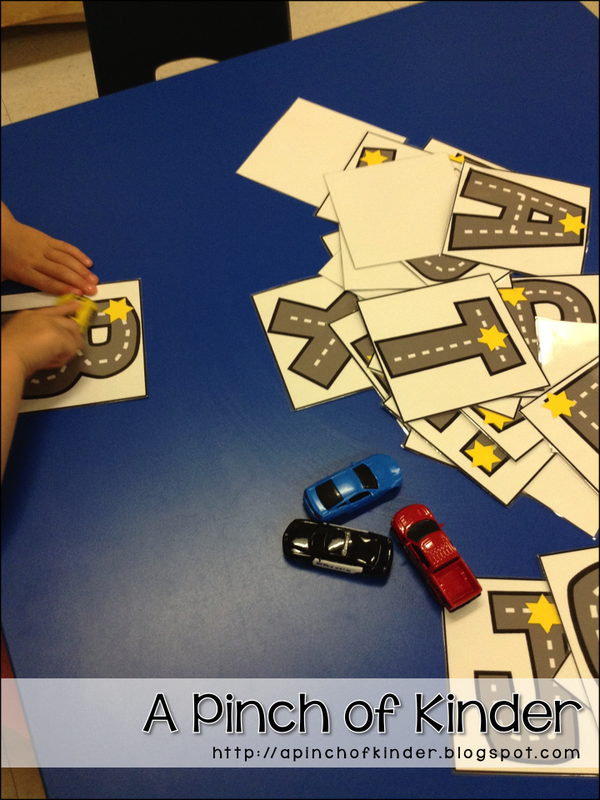 This one is Drivin' Down Letter Lane. It is in Tara West's "Teacher's Taking Back Their Weekends Aug/Sept Edition". This one was also very popular! The students are told to read the number on the apple and put that many pom poms on the tree with the paper clips. Although these wooden paper clips are not very strong and we had many broken ones by the end of the week... I went to the dollar store and bought plastic ones today so hopefully those will be a little sturdier! This "Apple Pickin'" centre is also from Tara West's "Teacher's Taking Back Their Weekends Aug/Sept Edition". 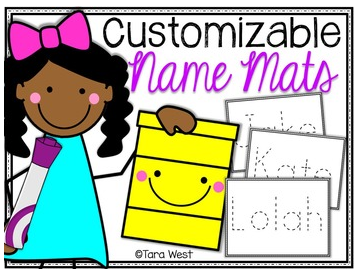 You can also see our name playdough mats. I have been using it with playdough, wikki sticks and whiteboard markers! Click here to download it from her TpT store. 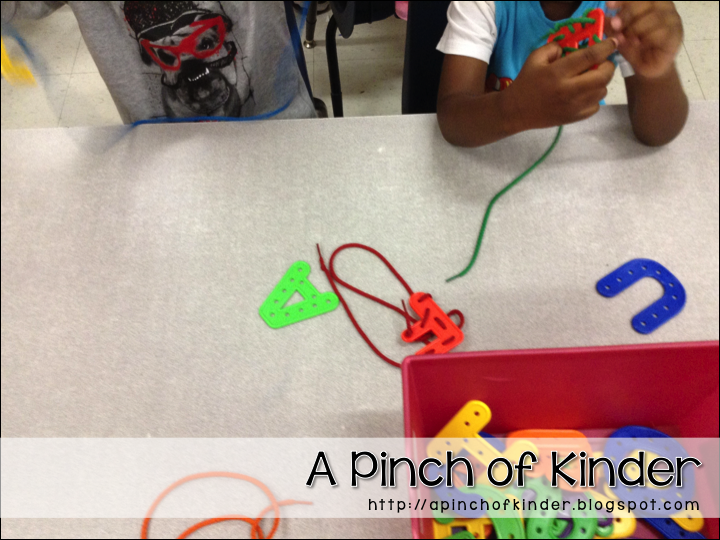 We also put out the alphabet lacing and the students worked on letter recognition and fine motor skills. 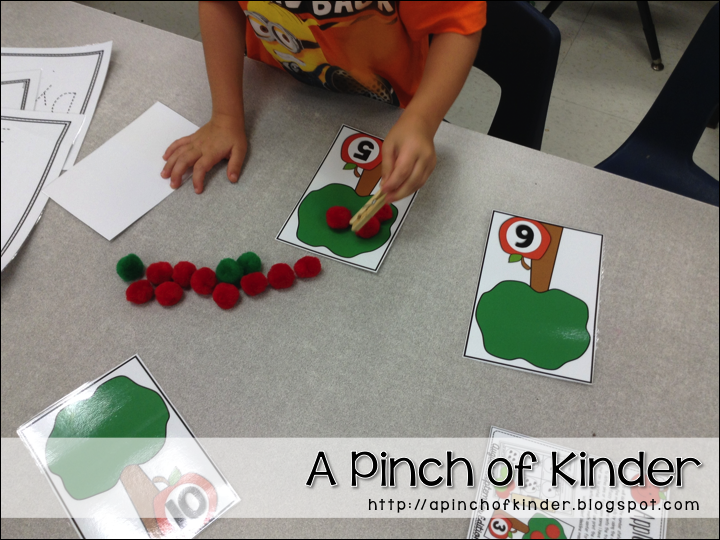 For math we worked on identifying and ordering numbers to 10. 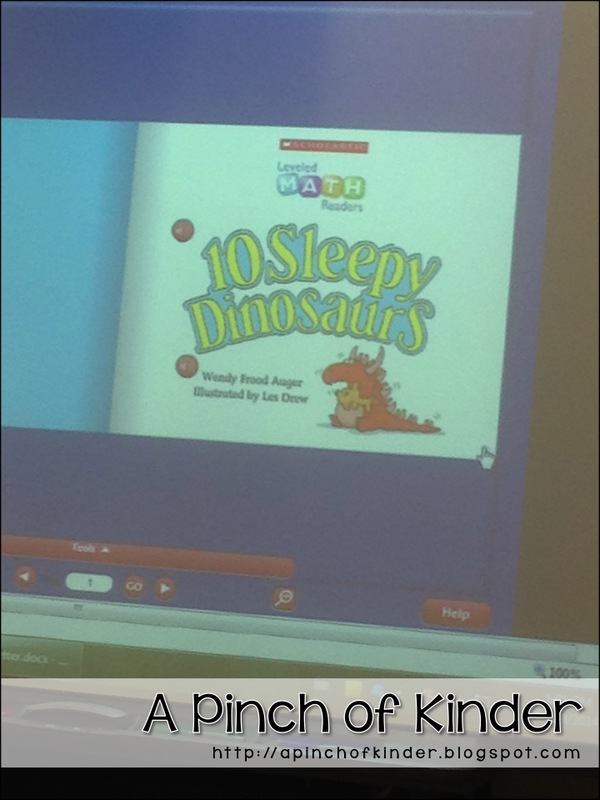 First we read and acted out "10 Sleepy Dinosarus". 10 students were given number headbands 1 - 10 (I just made them out of sentence strips and wrote the numbers on them). I also set up 10 chairs. We read the story and as they heard their number they went and sat in the correct chair. Next time I will make number necklaces instead of headbands. The headbands did not fit on their heads well and it was hard for them to remember what number they were. Last year I did them with necklaces (number cards on yarn) and it worked much better! The ebook for "10 Sleepy Dinosarus" can be found here. 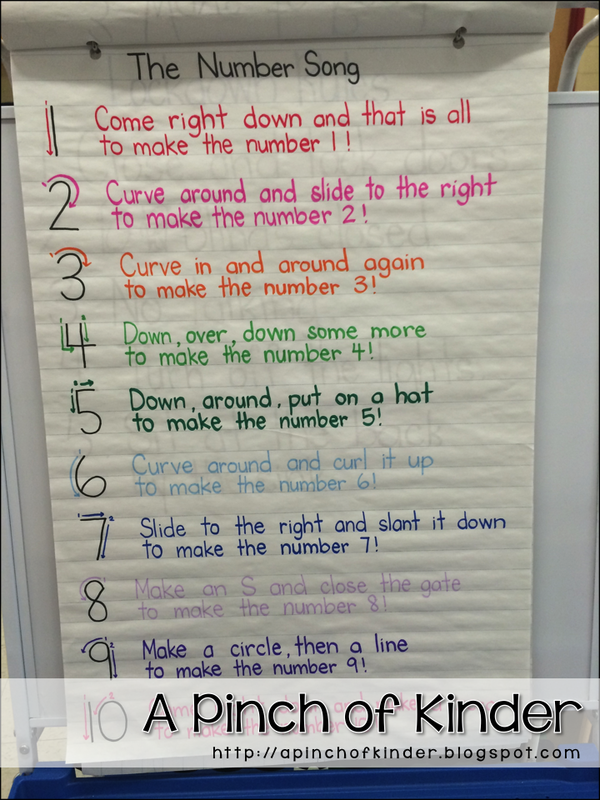 On Friday we listend to and learned the numeral song. After we listened to the song we practiced singing it and making numbers in the air. We sing the first line 3 times like the YouTube video. 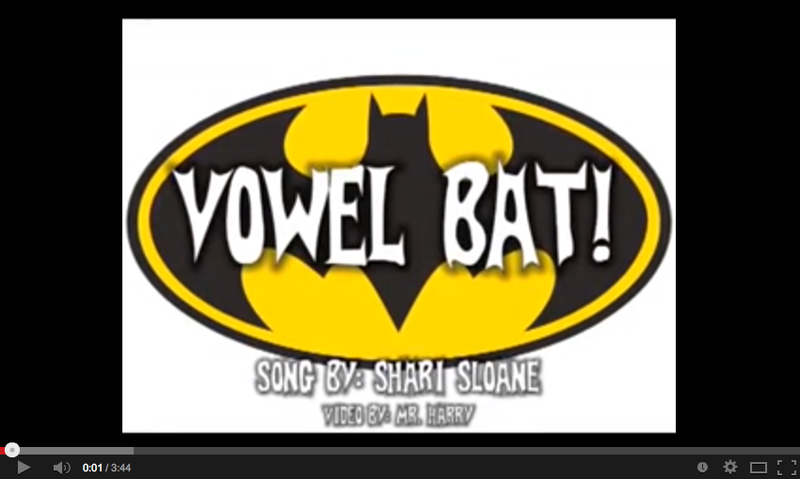 Last year one of my SK's really benefited from learning this song so I'm hoping it will help with the kids this year as well! I'm putting it up on my math wall so that I can remind them to use this resource during our math centre time. We also reviewed our fire drill and lock down procedures as it is Safety Week in our district next week. 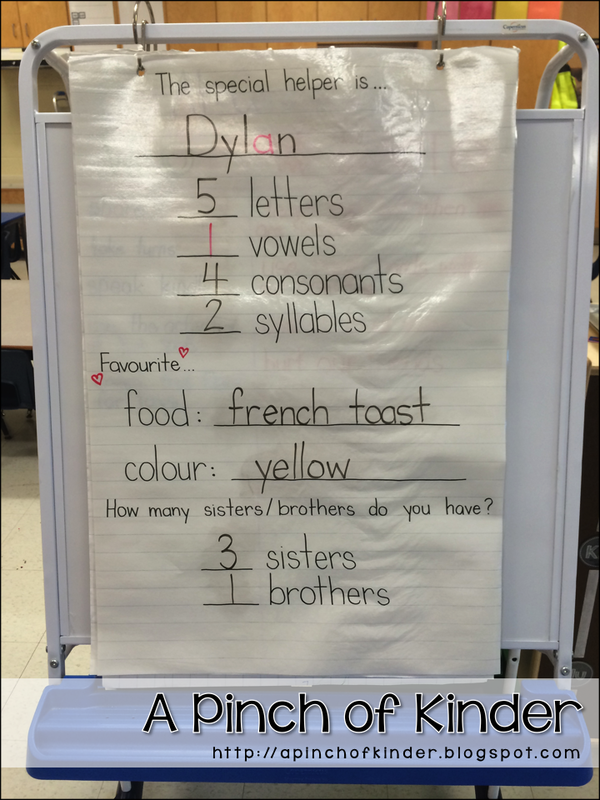 Next week we will be working on sorting for math and colours for literacy! 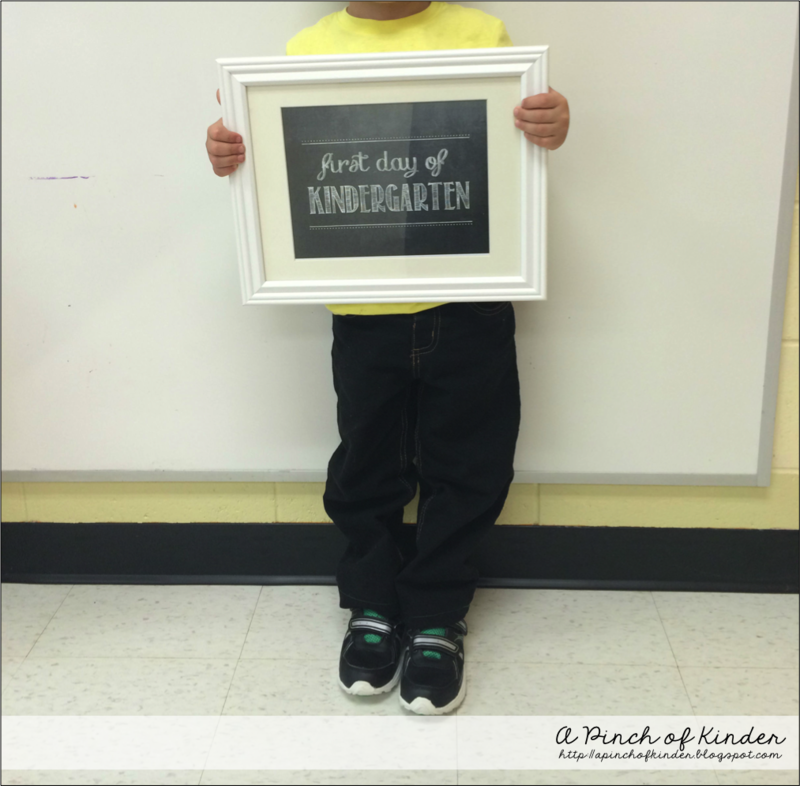 Recap: The First Week of Kindergarten! Phew! Although there is no tired like beginning of the year teacher tired, I have to say that I have a really lovely class. 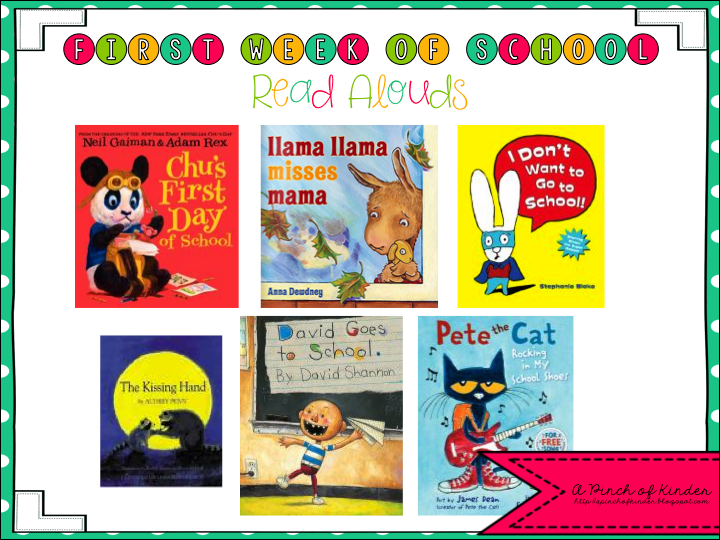 We started the week off by reading "Chu's First day of School". 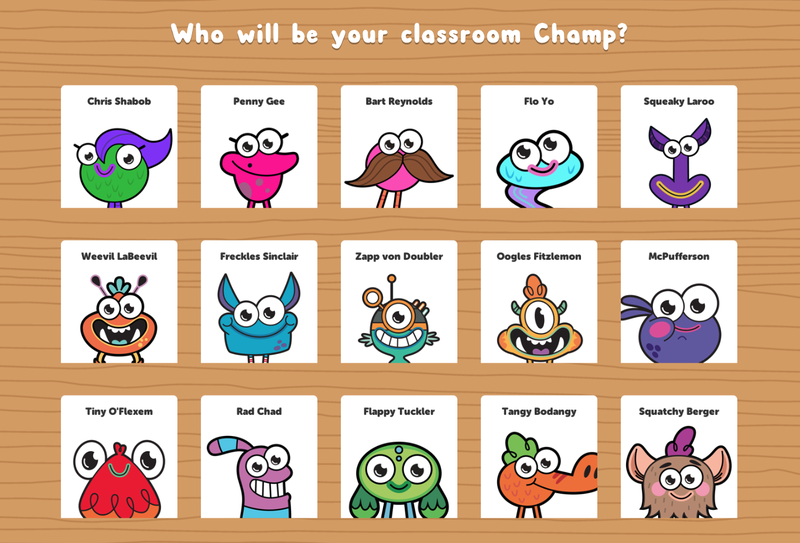 In the book Chu's teacher asks each student to say their name and something they love doing. So after I read the book we sat in a circle and we all shared one thing we love doing. We practiced using the talking stick so we knew when we were allowed to talk. We used the sentence stem "My name is ______ and I love to _____" to help us. In the afternoon we read "I Don't Want to Go to School!". After the story each child voted YES or NO to the question "Did You Want to Come to School?". We counted and recorded the answers and decided which one had more. 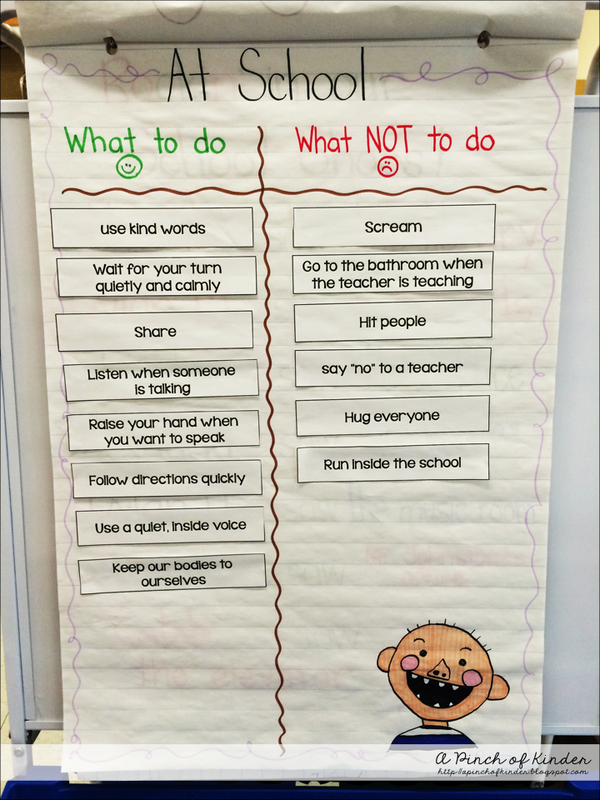 We read "David Goes to School" and sorted "What to do" and "What NOT to do" at school. 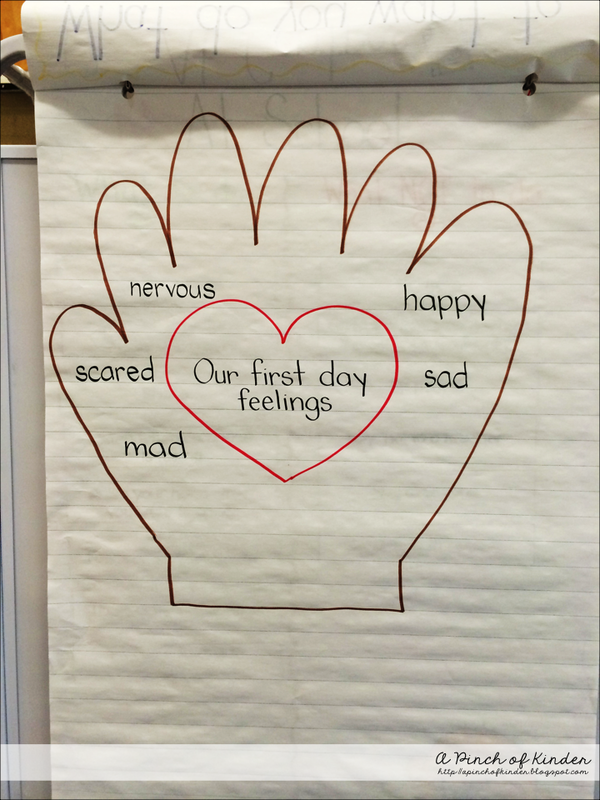 Click here to download the word cards for this anchor chart. 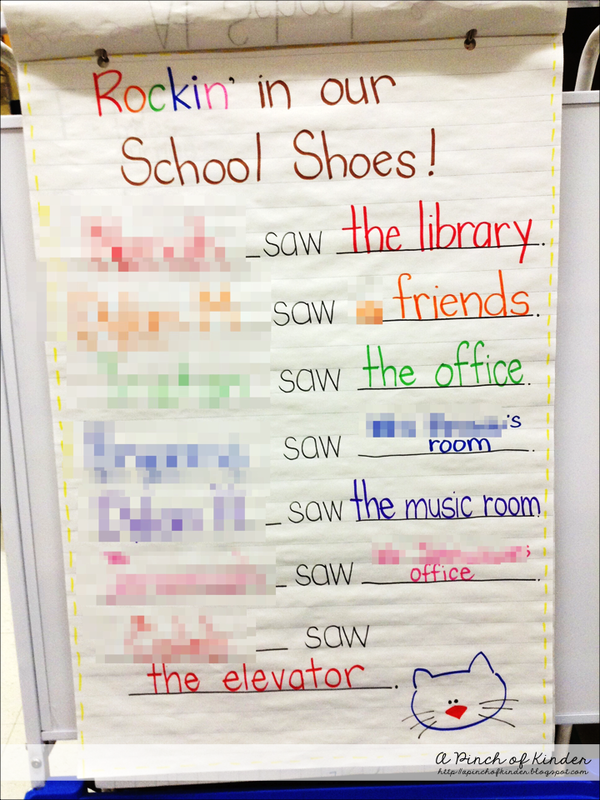 We also read "Pete the Cat Rocking in My School Shoes" and went on a school tour! I asked them to listen to the rooms I am introducing and we compleated this Rockin' School Tour chart when we got back. 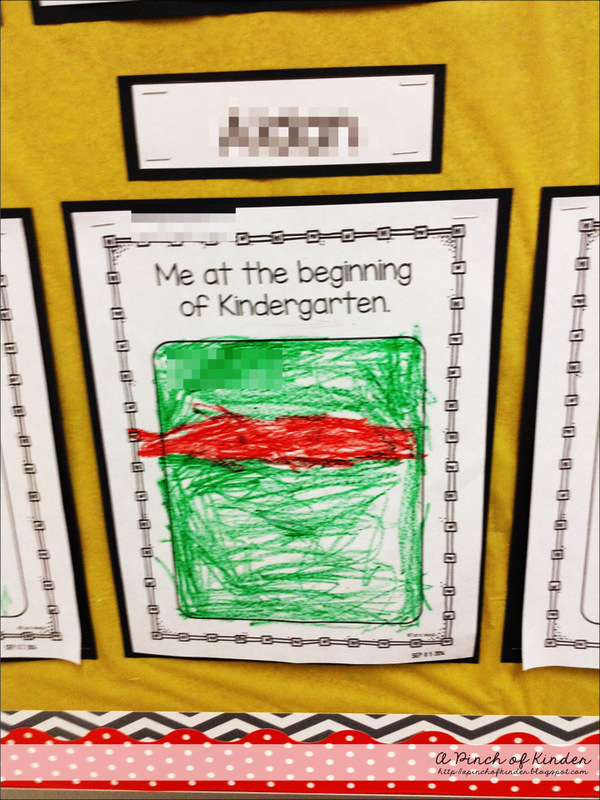 During centre time we completed our "Me at the Beginning of the Year" page. This was a diagnostic to see if they could print their name, draw a picture of themselves and follow one-step directions. 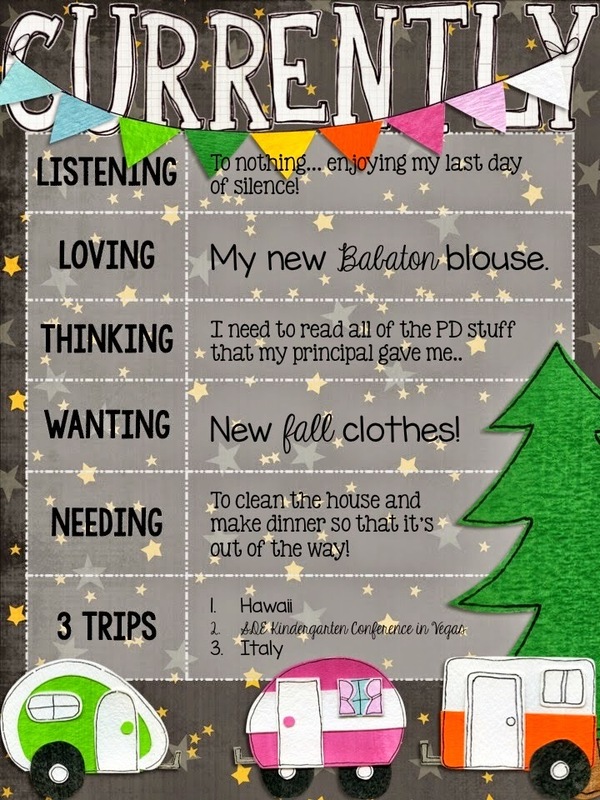 This page can be found in Tara West's "Teacher's Taking Back Their Weekends Aug/Sept Edition". practiced using gentle hands with our centre activities, using indoor voices and sharing with our new friends. Here is another thing checked off my blogging bucket list! To nothing... and loving it! My mom got this for me as an early birthday present. 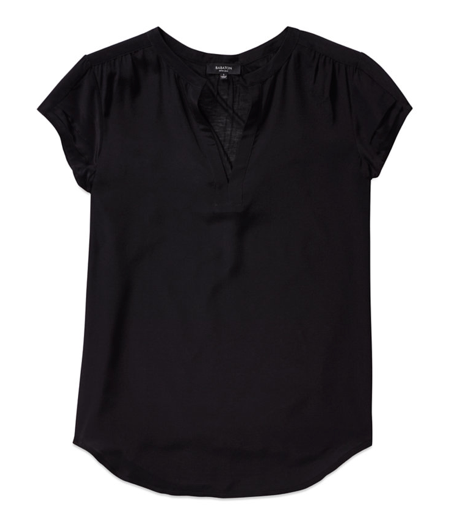 It is so comfy and great for wearing to school. My new principal really encourages PD which is awesome. 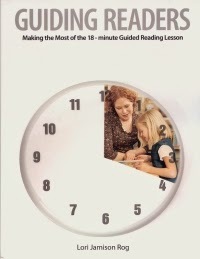 (Guiding Readers: Making the Most of the 18-Minute Guided Reading Lesson) tonight! Although really when do I NOT want new clothes? Here are some things that are currently on my wishlist.. I want one in EVERY COLOUR! I already have a leopard print scarf.. but I really like this one as well! One can never have too many scarfs right? as they are getting really worn down.. I want to try the kids size ones since I heard they are shorter! end up playing it safe and going with good old black. of the bucket list! So excited! some of my favourite bloggers and attend the conference! My dream is to see Cara Carroll present! 3. Italy: This is purely because I love Italian food (pasta, pizza..). and I've heard so many great things!